These are impressive players with a firm grounding in traditional styles, and they carefully balanced sturdy melodies against the experimental passages. 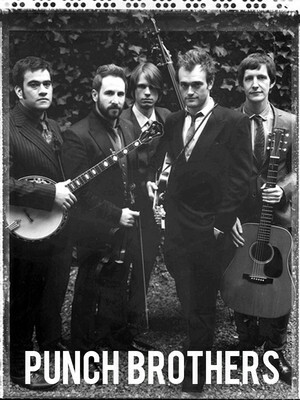 The Punch Brothers are anything but ordinary. Their innovative fusion of jazz-folk, contemporary bluegrass, classical music and rock shies away from anything ever heard before, favouring a traditional acoustic aesthetic combined with an adventurous and experimental spirit. The quintet, comprised of a mandolin, fiddle, double bass, guitar and banjo, are an extremely talented bunch and their virtuosity shines through their simple, singable melodies and complex arrangements. Calling to mind an the acoustic oddities of Radiohead and the country twang of The Band, The Punch Brothers' genre-bending is an exciting thing to behold live. The band's skill and precision is awe-inspiring and hypnotic, while at its core, their music is emotionally driven and easily accessible. Their shows are also interspersed with entertaining light-hearted stage banter, instilling an atmosphere of revelry and musical joy. Sound good to you? 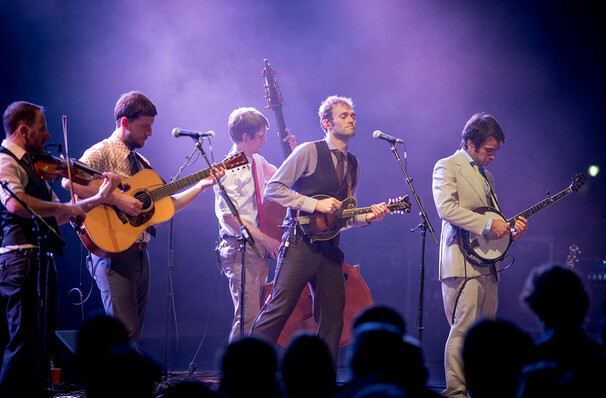 Share this page on social media and let your friends know about Punch Brothers at Pabst Theater. Please note: The term Pabst Theater and/or Punch Brothers as well as all associated graphics, logos, and/or other trademarks, tradenames or copyrights are the property of the Pabst Theater and/or Punch Brothers and are used herein for factual descriptive purposes only. We are in no way associated with or authorized by the Pabst Theater and/or Punch Brothers and neither that entity nor any of its affiliates have licensed or endorsed us to sell tickets, goods and or services in conjunction with their events.